Absolutely, in fact, we recommend it. After all, the funeral is a celebration of life. Funeral directors are happy to discuss all options and ensure your funeral is tailored to your wishes. It may be personalized in many unique ways. Contact us at (580) 846-9018 to explore the possibilities. We are available 24 hours a day, seven days a week. All you need to do is place a call to us at (580) 846-9018. If you request immediate assistance, one of our professionals will be there within the hour. If the family wishes to spend a short time with the deceased to say good bye, it's acceptable. Then they will come when your time is right. NOTE: This answer may frequently change due to price changes. (Answer updated on 8-5-2014) Funerals can cost as little as $1800 for a direct disposition. 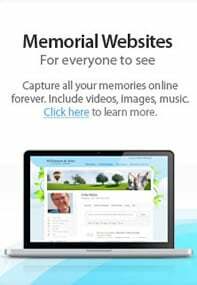 (Direct disposition includes registering the death, a basic casket or container, and transporting the deceased to a cemetery or crematorium) For an adult, full-service funeral, consumers choose to spend an average of $5000-$6000. This includes all professional services, including transfer-of remains, embalming, and other preparation; use of viewing facilities and the facilities for the ceremony; hearse, limousine, and the purchase of a casket.